i-mint is a unique rewards program that lets you earn points for the things you do daily, like refueling, using your mobile phone, traveling, shopping, eating out, watching movies, flying etc..
You can earn points irrespective of how you make the payment be it cash, cheque, credit or debit card. Points earned can be redeemed against a never before collection of fabulous rewards. i-mint is very different from other rewards programs that are offered across the country. It has a huge network of merchants/participants at national, regional and local levels as against a single merchant/participant under other programs. Customers can accumulate points at a faster pace as this membership is valid across all the enrolled merchant outlets. Customers are awarded points irrespective of which participating outlet they shop at and irrespective of how they choose to make the payment. i-mint points earned by a member across the network get accumulated under the same membership account thus ensuring the member can accumulate high point balances in no time. Accumulated points can be redeemed against an extensive reward catalogue with a variety of gifts to choose from. Air India offers the "Super Saver Scheme" as a FOUR & EIGHT coupon variant. 'Super Saver Scheme, facilitates individual Passengers traveling on Domestic network. FFP mileage points, 500 and 750 will be credited for every Y and J Class coupon respectively. Scheme is available for sale till31st March 2009. One single coupon is valid for travel between any city pair on Air India domestic network (both AI and IC code flights), where there is no change of aircraft and flight number, involved. In case the passenger is an employee of the corporate with whom we have a deal the benefits of corporate house scheme will be allowed. Identification Identification will be checked at the time of issuance of ticket and check-in / boarding. (Remark "Photo ID required" will be put in the endorsement box of each coupon.) Valid Photo IDs can be Passport / Driving License / Voters ID card or Pan card etc. Passengers are advised to carry the same identification at the time of travel also. The name reflected on the ticket must be the same as that on the Photo ID card. Ticketing IC & AI offices and its approved Travel Agents. Discounts No other discounts permissible including discounts offered on "AI Co-Brand Cards". Revalidation Change of sector / Flight no / date of travel - Permitted One time validity extension for 3 months permitted on payment of Rs 1000/- per coupon. No-Show Re-validation of no-show coupon is permitted on payment of Rs.1000/- per coupon, within the validity of the ticket. Upgrades Upgrade to Executive Class is permitted only at the boarding point subject to availability of seats, after paying the difference in fare between the applicable normal Executive Class fare and normal Economy Class fare for that sector. No additional FFP points permitted. 10% discount permitted on normal published full fare (economy / business) tickets on IC code flights and AI code flights. One free return economy class award ticket (two coupons) on IC code flight, to the card member for every Rs 2 Lakhs spent, within a period of six months by the card member for purchase of Air India tickets through the co-brand debit. The award ticket will be valid for travel on any domestic sector on IC designated flight. This offer will be available from 1st May, 2008 to 31st December, 2008 only. The applicable Government taxes/ Fuel Surcharge/ any other levy will, however be borne by the card member. Triple reward points are offered by ABN AMRO on purchase of Air India tickets using the co-brand debit card. 200- Bonus reward points (equivalent to 100 AOMPs) are offered by ABN AMRO, on sign up for the co - brand card. Free membership to the Flying Returns. Indian Airlines and Indiatimes Auctions has launched Bid & Fly. Auctions for air tickets just one week in advance. Now bidding and flying is easier than ever. We have 100's of flights everyday on auction at huge discounts. 1 Choose the flight you want to fly on. Which date you wish to fly on. 2 Choose the time of the flight you wish to fly on. In case there is more than one flight for that sector in a day then you can choose the flight most convenient to you. 3 Enter the amount you wish to bid and the number of tickets you wish to bid for. 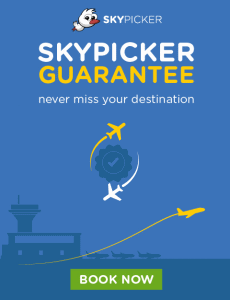 You can maximum bid for two tickets at a time on a flight. 4 Enter your passenger details. Also enter the city you would be picking up the tickets in and which for of identification you would wish to carry with you to collect the tickets. 5 If you are outbid you would receive a mail from Indiatimes Auctions asking you to modify your bid. If you win, all your details would be available online in the My Auctions section.